Every year, for my birthday, we go on a photowalk. Usually, we end up going somewhere around the city that I've never gone. 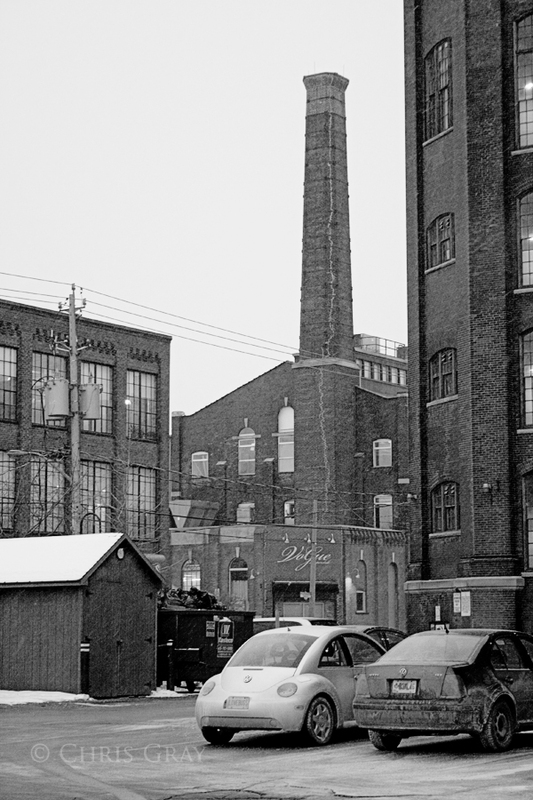 This year, we headed down to Liberty Village to see what's there. It's a formerly industrial area now turned into offices, restaurants and such. The building in the middle of the shot is called the Vogue Supperclub. I have no idea if they still need the tall smokestack, but it's definitely a distinctive part of the neighbourhood. This page contains a single entry by Chris published on January 26, 2011 10:35 AM. Marilyn Shelter was the previous entry in this blog. Liberty Village - Kuda Buddha is the next entry in this blog.